Kitchens are the busiest rooms in any house, and no matter how big the kitchen is there just never seems to be enough space to fit everything. From time to time, it becomes necessary to redesign and renovate your kitchen, in order to make room for new appliances or even just brighten up the place and give it a fresher, more modern look. If you’re looking for the perfect kitchen, you’ve come to the right place — WA Kitchens are the best kitchen installers in Perth. 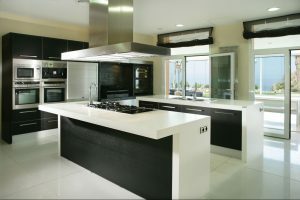 WA Kitchens have many years of experience producing beautifully designed kitchens for households all across Perth, providing kitchen installation services that will help you achieve your dream kitchen. Our experts are well-equipped to handle all enquiries, no matter how large or complicated. With cabinets produced right here in WA, you can rest assured that you will be receiving the most reliable and high-quality solutions with WA Kitchens. Aside from kitchens, our expertise also extends to other areas of the house as well. The experts at WA Kitchens will help you give your kitchen the makeover it deserves. Our professional kitchen installers will be able to provide the best solutions and recommendations based on the area and layout of your kitchen, as well as the size of your budget. We are able to assist with the assembling of cabinets. Throughout the process, we will work with you every step of the way to ensure that everything is done exactly the way you want it. With WA Kitchens, you’ll have a kitchen that feels brand new that will leave you fully satisfied and stun your guests. From kitchen installation services to DIY flat pack kitchens, at WA Kitchens we are able to provide you with the best solutions for all of your kitchen requirements. Contact us or call us on 0424786508 today for enquiries or for more information. We’ll take care of the rest!